Katie Buehner is the Head of the Rita Benton Music Library and the liaison to the School of Music and Theatre. Her areas of research include 20th century American music and online video production. 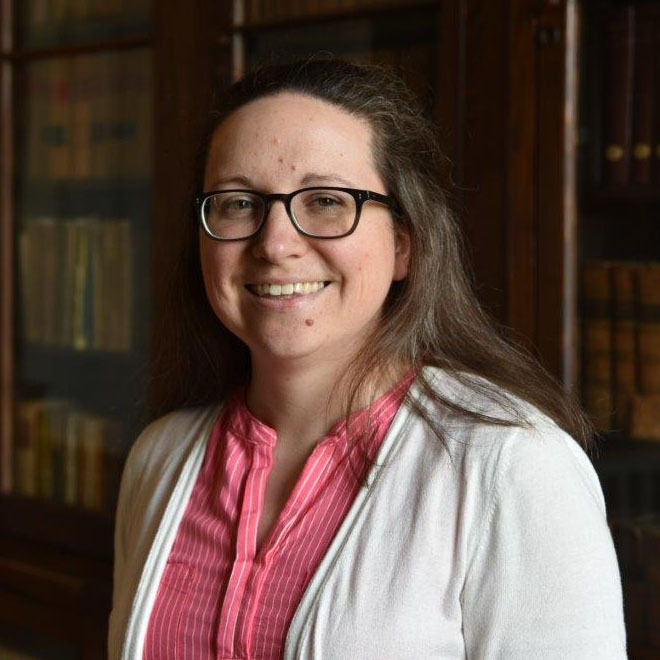 She is available to teach classes on performing arts library resources and consult on issues including scholarly communications, copyright and licensing, and donations of scores and recordings to the Music Library. Buehner, Katie. “Using Video-Sharing Sites to Market your Library” in Marketing with Social Media: a LITA guide, edited by Beth Thomsett-Scott. Chicago: ALA TechSource, 2014. Buehner, Katie. “Copyright in the Classroom: Raising Awareness through Engagement.” in “Roundtable on Bibliographic Instruction for Students of Music History”, ed. Misti Shaw. Journal of Music History Pedagogy 4, no.2 (Fall 2013): 179-81. Brett, Kelsey, Katie Buehner, Andrea Malone, Ayla Stein, and Shawn Vaillancourt. “A Production Process for Library Help Videos” in Library Publishing Toolkit, edited by Allison P. Brown. ISD Project Press in collaboration with Rochester Regional Library Council, the Rochester Public Library, and Milne Library at SUNY Geneseo, 2013. “Video Instruction in Blackboard Learn”, Texas Chapter of the Music Library Association Fall Conference, San Marcos, Texas. 45 minutes. Katie has produced and edited over 100 online videos, including tutorials/help videos, advertisements, short documentaries, and other educational content. Here are a few videos from her video work for the University of Iowa Libraries.